The Saskatchewan provincial government has decided to scrap C$117 million in potash tax credits in an effort to balance its budget. The Canadian fertilizer sector is up in arms after the Saskatchewan provincial government made no public consultations before deciding to scrap C$117 million in potash tax credits. The tax credit system, which featured a potash production credit, had been in place since 1990, and was established to help offset some of the costs producers were bearing while the market was in a downturn. However, in 2019, the Saskatchewan government is hoping to use the C$117 million generated by eliminating the tax break to balance the provincial budget. Fertilizer Canada — a group representing agricultural manufacturers, wholesalers and retail distributors of nitrogen, phosphate, potash and sulfur fertilizers — is disappointed that the government is targeting the sector so disproportionately. “This is not the way to treat the potash industry, which continues to contribute so much to the Saskatchewan economy,” Garth Whyte, president and CEO of Fertilizer Canada, said in the announcement. 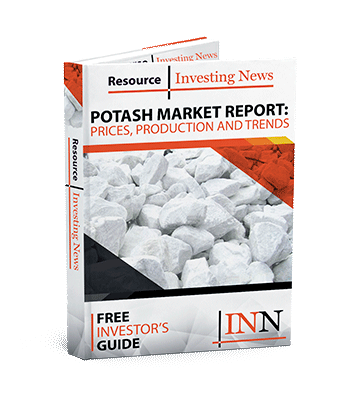 Canada is the world’s largest potash producer, accounting for 29 percent of world totals, roughly 20.3 million tonnes of a global output of 60.4 million tonnes. The 2019 budget is the first time the province has balanced its books since 2014. However, the fertilizer sector is predicting massive job losses in the industry and a reduction in the sector’s ability to compete in a globalized market as a result of the lost tax incentives. “These changes will result in Saskatchewan potash production being subject to the highest royalty and tax rates in the world,” explained Whyte. The new tax schedule takes effect April 1, 2019.